The best season yet. Anna Torv finally sports some flattering hairstyles (if only briefly), and there’s only a single episode I feel qualifies as a dud (“Os”). Those nice things said, I’m not pleased with the finale. 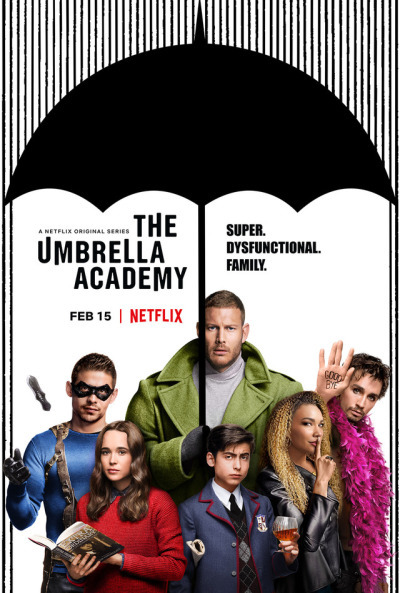 It started off well, but the ending was rushed and sloppy; definitely a less than satisfying conclusion to the season’s arc, though I am interested in seeing where the show goes from here. Season 3 of The Man in the High Castle. Twelve episodes in, and my journey with this show has come to an abrupt, unanticipated, and altogether unwelcome end. If the showrunners were going to overhaul the series — change the characters, their world, and start everything over from scratch — then they should’ve ended the third season with Peter merging the two universes. Going that direction, at least, could’ve allowed for new storytelling opportunities and interesting reinterpretations of existing characters. Instead, everyone and everything are reset to factory settings. Three seasons of character development and world-building — meaningless turds straight down the crapper. The only interesting development to come of this season is the reintroduction of David Robert Jones, but it’s not encouragement enough for me to sit through another slew of filler episodes featuring these neutered personalities. Needless to say, I won’t be finishing the season and I won’t be watching Season 5. I’m going to pretend the ending of “The Day We Died” and everything thereafter never happened and that’ll be that. Yeah, season 4 is such a slap in the face huh? It’s why I don’t recommend the show and gave up on Bad Robot TV productions after this and LOST. Here’s my original series review if you’re interested. Definitely an improvement on Season 1. It has its weak episodes (may I one day forget the mistake that is “Brown Betty”), but it certainly has less filler and more cohesion and momentum than its predecessor. 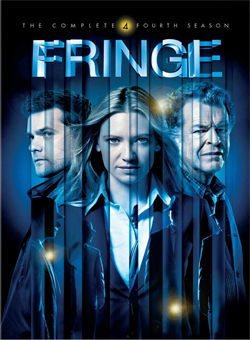 I stopped watching Fringe a bit into season 2, and the only reason why I even got that far was the praise the show was getting, especially further on. 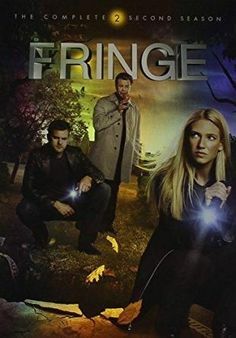 For me, the show improved tremendously once it moved past the X-Files-lite “monster of the week” episodes and started focusing on the conflict with the alternate universe. That said, if you’ve already seen the episode “Peter” and still don’t like it, there’s no point continuing. Besides, with the 4th season undoing everything which came before, what’s the point? The best developments end up nullified, anyway. Only the two four episodes in though The Orville is shaping up quite nicely… loving the TOS meets TNG style aesthetic and feel of inside the ship, and also the humour of the show too. Finally watched Breaking Bad, only about a decade too late. Gonna drop a few spoilers, just so you know… Have a really weird opinion, which was that it more or less lost its way after Season 2. When Walt’s cancer went into remission, I more or less thought the show’s premise “man with cancer makes drugs to help his family” had run its course. In a nutshell, I think my issue was that I thought Walter White’s transformation from “Mr. Chips” to “Scarface” was pretty much done by the end of Season 2. Him letting Jane die was pretty climactic. By the end of that season, his family had left him, and his cancer was no longer an issue… The fact that he stayed in the meth business pretty definitively concluded that he was now solely doing it for selfish, egotistical reasons. In other words, the central questions about Walter White’s motivations and morality were answered, essentially fulfilling the premise of the show to its inevitable end. Season 3-Season 5 did have a lot of colorful supporting characters like the Terminator twins. But, to me, the show became less about engaging character arcs and more about shock imagery, from a parking lot shoot out to a man with his face completely blown off to a machine gun in a car to a pool of poisoned cartel leaders in Mexico to a supporting character getting shot in the face. Now, don’t get me wrong: a lot of that imagery was genuinely memorable/cool/iconic/awesome, but the show lost that black comedic edge married with intricate character work, descending head first instead into its more violent aspects. That said, totally understand that pretty much everyone will disagree here: every best of Breaking Bad list that I can find seems to think that the finest episodes came in the last season, during which I was frankly pretty bored. Better Call Saul is a perfect show. Cinematography, directing, writing, acting, everything. No complaints. Look forward to the remaining seasons. Come, now. His face was only partially blown off. Each succeeding season has enthralled me less than the one preceding it, and I can’t say precisely why. I’ve liked the cast and characters* and direction in all three seasons, so the fault doesn’t lie there. Perhaps the pacing/tone just wear thin after a time. Whatever the answer, this season was good, not great, and has left me with no desire to revisit the series. Also, as a final note, I’ve lost pretty much all interest in ever reading the books. Word of mouth is the series is very faithful to the source material. What’s the point, then, of reading them if they tell essentially the same exact story? Life’s too short to delve into redundancy. 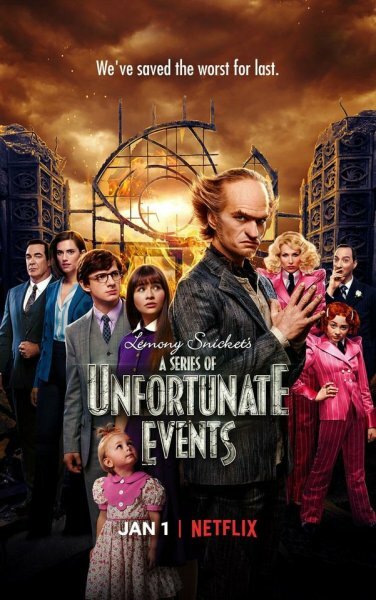 *Except for Lemony Snicket. He’s ceaselessly dour and condescending and I don’t like him very much. 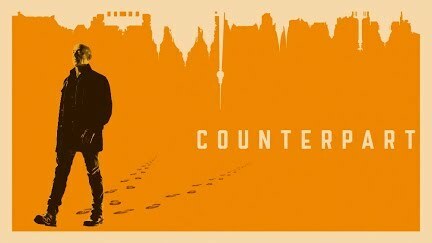 Some impressively absorbing tv, quality actors, direction, and premise - with atmospheric scenes slowly building up tension that ensnares you into it’s grip. ^Sounds like a better written Fringe. Definitely adding to my watchlist. Recently watched all 67 current episodes of Game of Thrones. Need extensive spoiler tags. As mentioned in the Game of Thrones thread, I received the Season 1-7 UK Blu-ray disc boxset as an awesome Christmas present. Hadn’t watched any episode at all beforehand, watched all episodes from the discs, currently waiting for Season 8 (Final) this April and the spin-off series. No idea if I want to play the GoT Telltale game. I’m not a fan of the company and I guess it’s set before Season Six. Now I’m watching Humans Series 3 and then Westworld Season 2. Both on Blu-ray disc but borrowed from a friend. Watched all of Community, which I enjoyed a heap, particularly seasons 1-4, after which I feel it lost a lot of its charm. The loss of characters didn’t help either, but it was still good. The finale was extremely creative in particlular. Young Justice Seasons 1-3 is extremely awesome!! I can’t wait for the second half of season three. Finished watching Westworld Season 2 and gave it back to my friend. Now to finish the last of Humans Series 3. Been considering giving Altered Carbon another go, interested in Man in the High Castle, ought to complete Fargo Season 3, and own on Blu-ray disc original Twin Peaks. The latter imported from the UK. Figure on rewatching the show, been more than a decade, before watching the revival series. Might do a rewatch of Scrubs sometime. ^ Man In The High Castle is a good intriguing watch - a little off in season 2 for me (yet still absorbing) - though really hit the heights for season 3 - and looking forward to the next season. I should watch more Peaky Blinders. Only watched the first 6 episodes and I should watch more. Well, I’m kind of late, but I thought I’d throw my own two cents in. The series (or two) I’ve seen were both animated: RoosterTeeth’s recently-released military, mecha, sci-fi web show called “Gen: Lock”; and a sort of obscure, independent, Arabic superhero show called “Emara: Emirates Hero” by Eating Star Studious. For “Gen: Lock,” I’ve only seen the first episode, but it looks pretty decent. A typical set-up that involves a near-future war of political ideologies involving mecha. The writing seems good, and I’m surprised the crew got well-known actors (and that’s not including Maise Williams, David Tennant, and so on) like Michael B. Jordan and Dakota Fanning voicing the main lead Chase and his love interest Mirana, both members of the Vanguard who fight against the nanotech-based Union. I’d say give it a watch, and I’m hoping RoosterTeeth eventually makes the rest of their episodes free to watch on the site. As for “Emara,” it’s first and foremost a typical superhero show that takes place and was made in the Middle East (a rarity to say the least). It follows the adventures of Emara, a cybernetic superhero who fights crime in her home, the bustling city of Dubai (think Sailor Moon or Miraculous in the Middle East). There is nothing deep about it, but the cultural elements (and anime references/rip-offs) in the background are nice little touches, and I’m a sucker for independent works, so this immediately caught my eye. The animation is pretty decent (for an independent animated work), and I liked the characters. Some of the voices, specifically the male ones, are so-so at best, but that is only in the English dub, as the show is also available in Arabic with better voices and English subtitles if you prefer. The first season (a total of five episodes, 10 minutes each) is available for free on YouTube, so give it a watch if you’re interested. young woman has supernatural powers and is contact by dead people to help put things right what went wrong. only 30 episodes but good tv. set in late 1890S. Vikings - am happy it has been given the chance to end properly. Has its charms, but the tone is too inconsistent and there’s too much filler. I’m not really interested in the next season. A top way to end a series - without the schmaltzy emotion usually associated with the end of a show - yet still poignant too. Nice one.